This is one of those dishes that I could imagine as a dish in a huge antipasto spread at an Italian trattoria. The kind of spread that looks like it was out of an old movie about ancient Roman, where the emperor would grab handfuls of grapes and greedily eat them, their juices dripping down his face and onto his cloths. I love seeing restaurants with spreads like this, there is something so old school about them, they always makes me swoon and want to sample every dish offered so abundantly, but it is bad form to only order the antipasti, so you have to save room for at least a primo or a secondo. 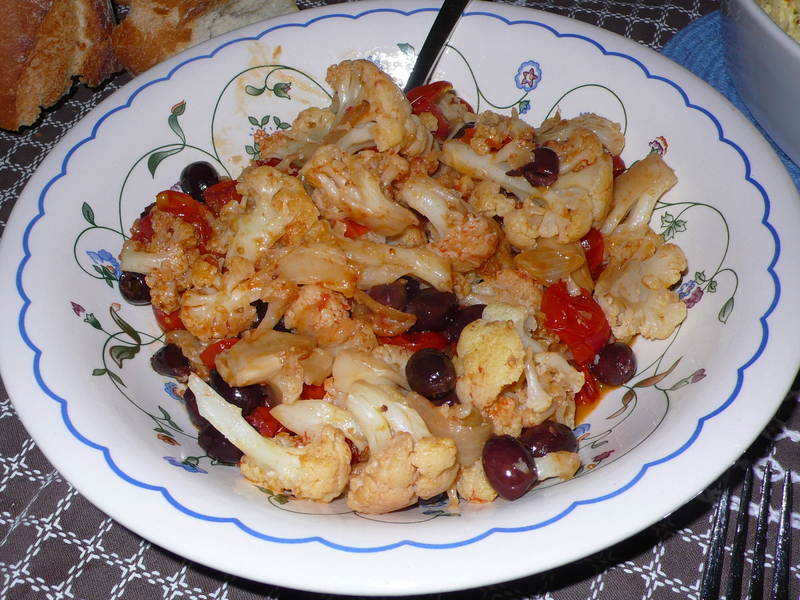 This is something that could also be served as a contorno, or as part of a vegetarian feast, and since we are making it at home, it could be part of an entire meal of Italian antipasti. A lot of work, but oh so delicious! 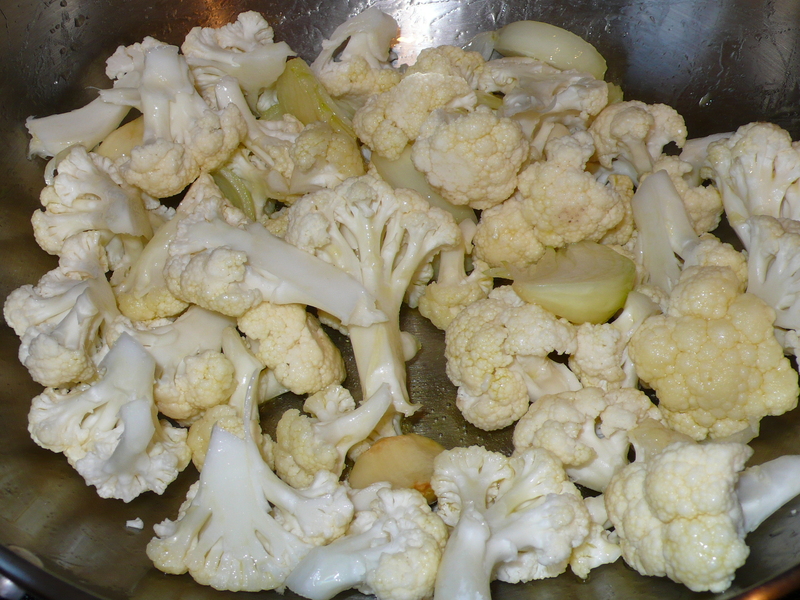 Tear off the tough outer leaves at the base of the cauliflower, and cut out the tough core. Cut the branches into small florets (about 1 inch), and cut any small tender leaves into pieces. Peel the onion and, without trimming away the root end, slice it into eight thin wedges. 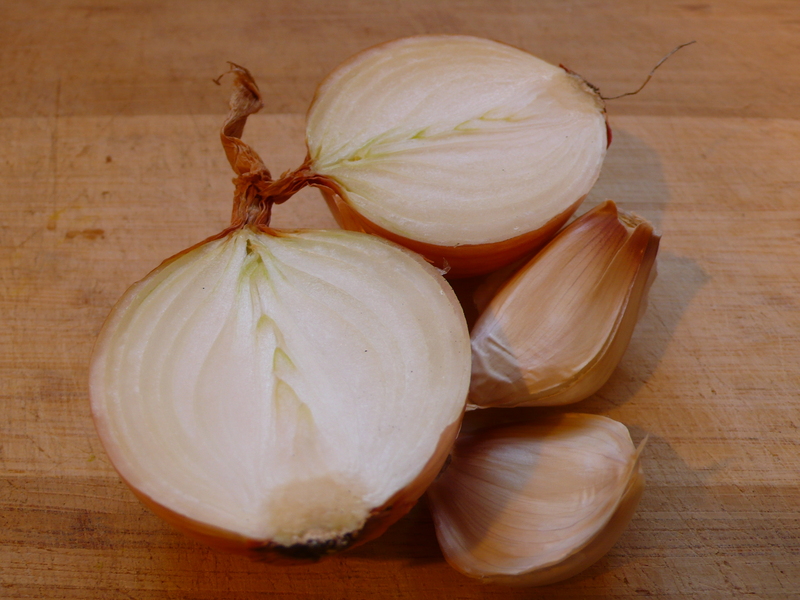 The onion layers should still be attached at the root end, so each wedge remains intact. Pour the olive oil into the skillet, set it over medium heat, and toss in the garlic cloves. 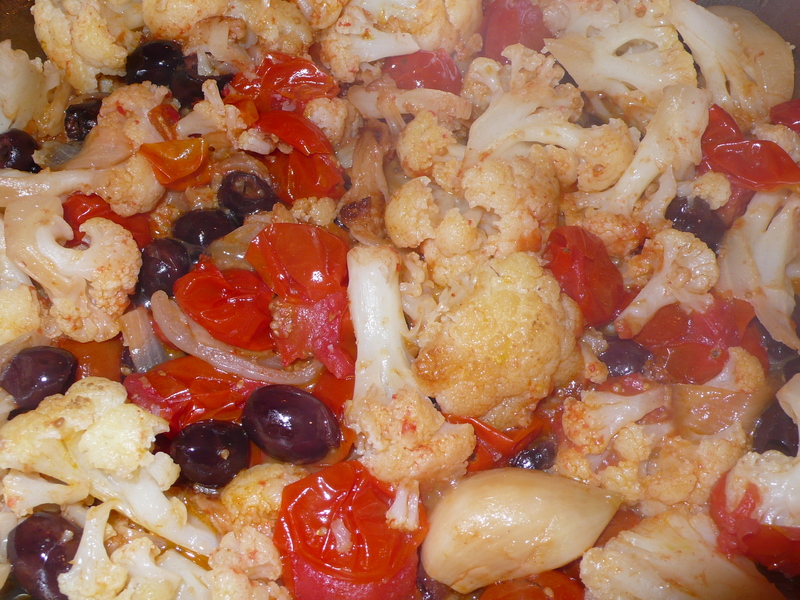 When they start to sizzle, strew the cauliflower over the pan bottom, and drop in the onion pieces here and there. 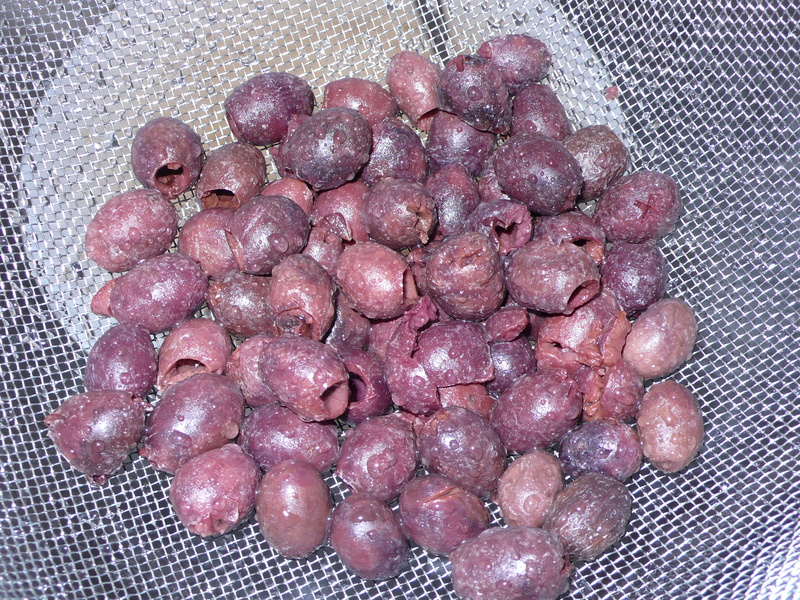 Season with the salt and peperoncino, reduce the heat to medium-low, and cover the pan. Let the vegetables cooking without stirring for 20 minutes or so, softening in their own juices, until the florets and wedges begin to take on color on the bottom. If the pieces are soft but not carmelizing, uncover the pan, raise the heat a bit, and cook a few minutes longer. When the vegetable pieces are caramelized on one side, gently tumble them over. 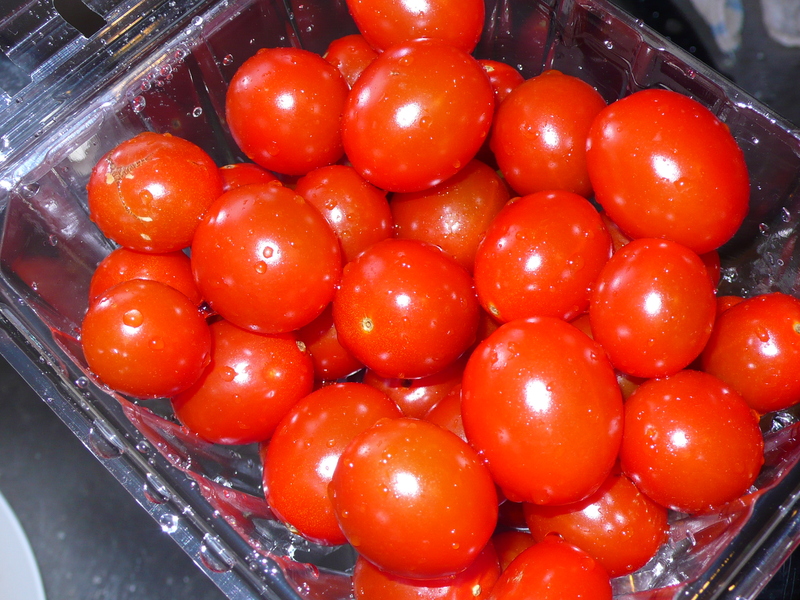 Scatter the cherry tomatoes and olives in the pan, stir gently to distribute them, then cover and cook until the tomatoes release their juices, about 5 minutes. Finally, remove the cover, raise the heat, and bring the pan juices to a boil. Cook until the juices are syrupy and the vegetables are caramelized all over, another 5 to 10 minutes. 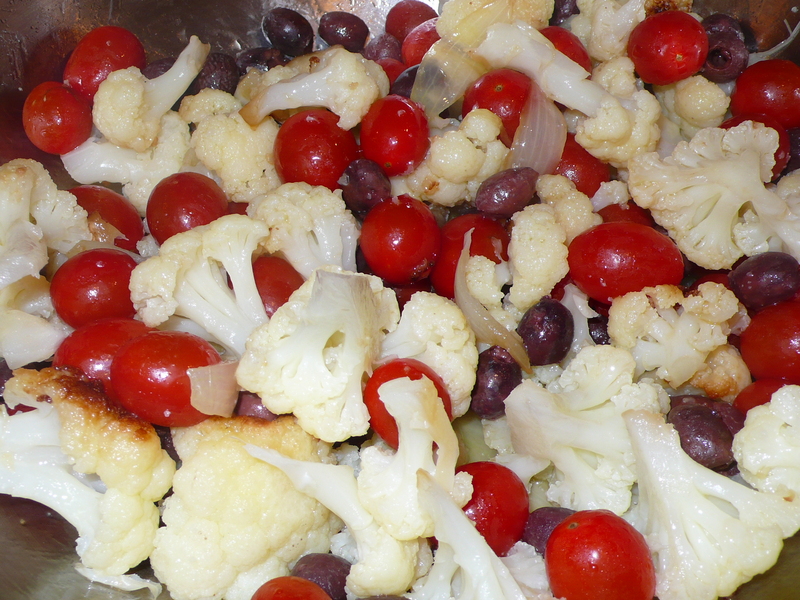 Heap on a platter on int a casserole dish; serve warm or at room temperature. ~ by italicious on April 1, 2011.